Marin twins’ new website promises easier b’nai mitzvah planning – J. Like many twins, Noah and Adam Weitzman tend to complete each other. Or, at least, to finish one another’s sentences when speaking. So it was probably only a matter of time before the 28-year-olds merged their talents and went into business together. 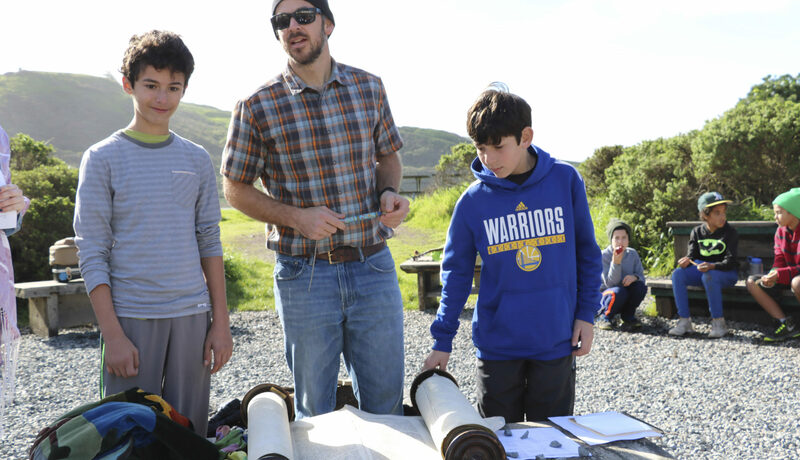 Their idea — a service to help simplify bar mitzvah planning — also brings them back to their hometown in Marin County, and they couldn’t be happier. For those looking to organize a bar or bat mitzvah, there is, of course, no shortage of event planners, florists, caterers, apparel shops, venues or entertainers. The problem is the time involved in wading through all those choices, and finding vendors that are both reliable and in tune with one’s tastes. 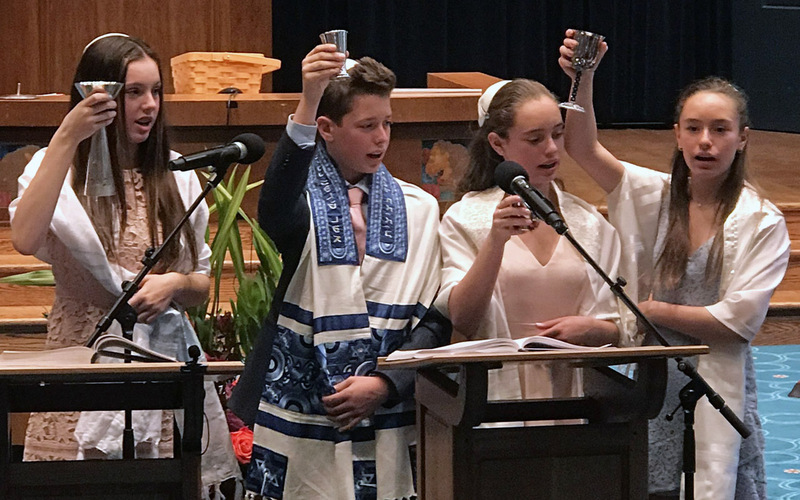 The twins’ mother, Chyah Weitzman, director of an art school in Tiburon, found this out when she decided, a couple years back, to have a joint bat mitzvah with her daughter Sarah. So the Weitzmans, who were running separate successful enterprises in Austin, Texas, saw an opportunity to fill a business need, do a social good — and move back to Marin. “Our people are here. The good hiking and surfing is here,” Adam explained. After attending Tamalpais High for two years, Noah got a wrestling scholarship to Trinity Pawling, a boarding prep school in New York state. 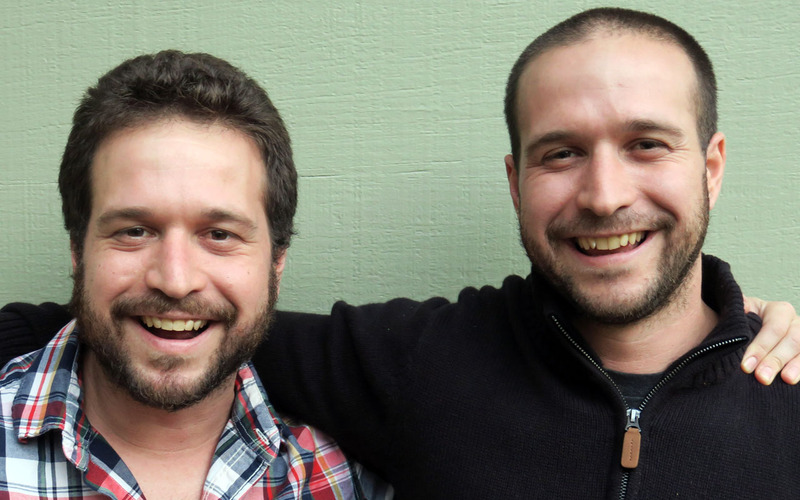 Adam attended the Jewish Community High School of the Bay in San Francisco for a year, then Redwood High School, finally graduating from Tamalpais High. They both went out of state for college, graduating into the big recession. Adam worked his way up in the tech industry by designing websites and apps, ending up as a software engineer. Noah did software sales with an eye toward forming his own enterprises. And he did — they both did — forming small manufacturing companies around technological advances, headquartered in Austin. It was on a visit home that they started to think about the bar/bat mitzvah concept. 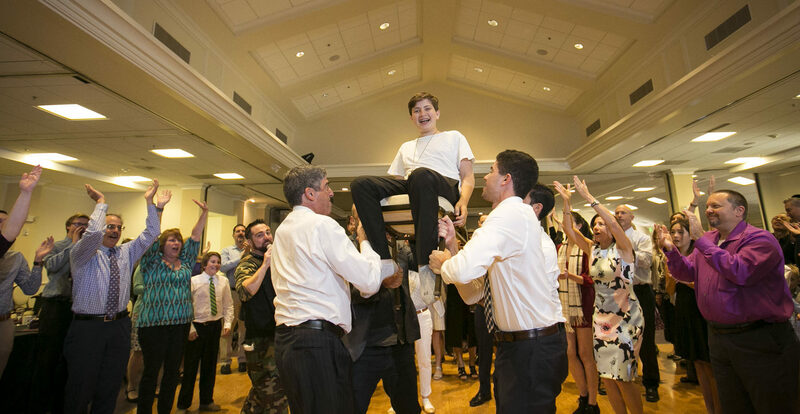 They had been to one, and then to a wedding, and after talking with the families involved, they realized that (unlike wedding fairs) no services existed to meet the potential vendors for b’nai mitzvah events. It was a eureka moment. They sent out a newsletter to test the idea and received “a huge, positive response from parents, local vendors and synagogues,” Adam said. So about 10 months ago they moved back to Mill Valley and set about building an all-in-one bar and bat mitzvah planning website specific to the Bay Area. That site is thetallit.com. It features planners, caterers, venues, photographers, videographers, DJs, entertainers and even tutors. Access to the site is free for users, while vendors pay a fee to be listed. Key to its success is the way the twins have leveraged their large personal network to find, curate and vet the vendors that are listed on the site. 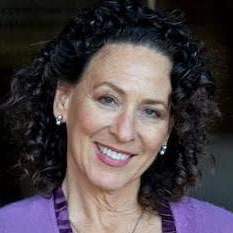 Their mother retains a close connection to Kol Shofar, while the twins have friends associated with synagogues all over the Bay Area.